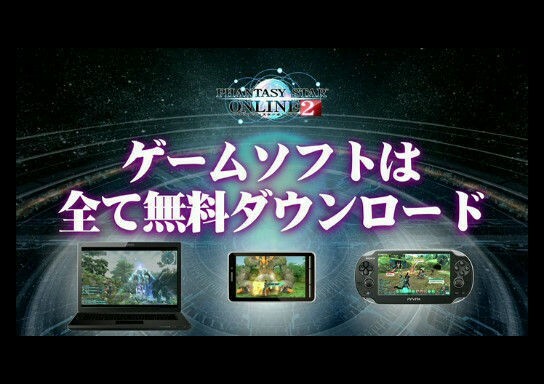 Sega has recently announced that Phantasy Star Online 2 will be free to play on both the PC and Vita, but has also announced that both iOS and Android enabled devices will have an app that will allow you to share data between the versions of the game as well as character creation and will add certain social elements to the game. Kudos on that Sega! Expect the PC version of PSO2 to be released sometime in the summer which the iOS / Android releases shortly after. The Vita version would be released until early Spring 2013 at the latest. The best thing about it all is that both the PC and Vita versions will be able to play on the same servers and you can share your character between the versions using the iOS / Android devices via a transfer. However there’s still no comment if PSO2 will hit the US or any other territoty other than Japan, though here’s hoping Sega realizes how much of a hit the original Phantasy Star Online was here and gives us the goodies!